Thank you for visiting! 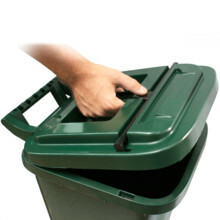 We sell the UK’s largest range of can crushers, recycling bins and other recycle containers that make it easier to recycle at home as well as in the office. We stock well known brand names such as the Joseph Joseph, Brabantia and Simplehuman Recycling Bins as well as lesser known names such as the Sestriere Trio bin. We have several recycle containers that will help with EcoHomes and the Code for Sustainable Homes certification including the 30 Litre Triple Ecohomes Bin and the 40 Litre Frame Mounted Quad Bin as well as biodegradable bags for most of the range. We stock everything we sell so are normally able to despatch same working day for next working day delivery. In the unlikely event that we cannot supply from stock we’ll contact you and ask whether this is acceptable or not. Happy recycling!